This Hudson Valley Lighting mini pendant is comprised of a thick, metal conical shade finished inside and out in aged brass. With bold simplicity, the Ovid mini pendant by Hudson Valley Lighting features a stunning design comprised of sturdy form and lines. The fixture incorporates a thick conical shade in aged brass finish that creates a compelling vertical profile without the need for embellishment. The Ovid's well-composed minimalism is a new classic and is sure to be\ a striking accent for the dining room, living room, or kitchen. 13 3/4" high x 6 1/2" wide x round canopy is 4 1/2" wide x hanging weight is 7 lbs. Bold cone-shaped mini pendant part of the Ovid collection by Hudson Valley. Metal construction; aged brass metal shade; aged brass finish. BEST ANSWER: Hi, the pendant is UL listed. 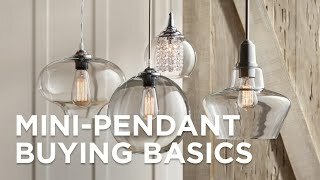 Is this Pendant slope adaptible ? BEST ANSWER: Yes - with the included flexible cord, it is slope adaptable.